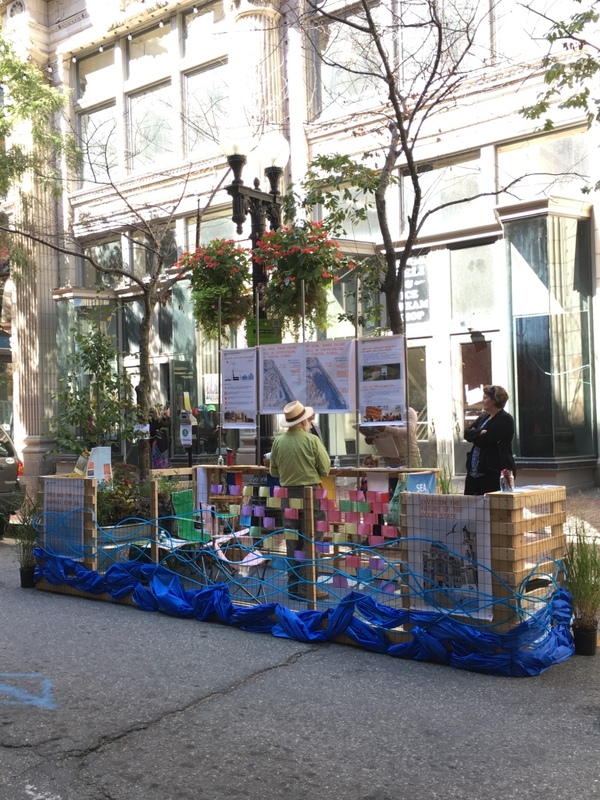 In 2016, SDG designed and built an installation for PARK(ing) day which sought to engage the community on the topic of sea level rise. 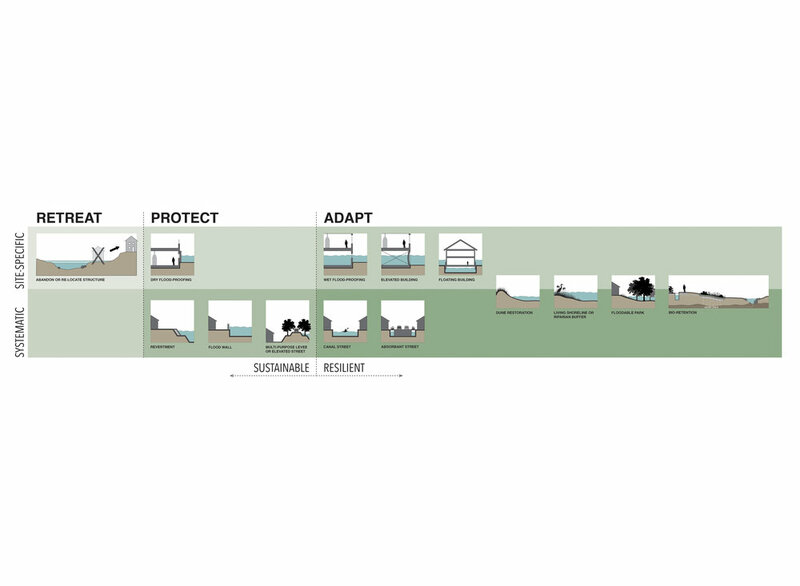 Following PARK(ing) day, SDG expanded on this research and developed a series of graphics illustrating strategies and applications for coping with flooding that are specific to Rhode Island. This research will be on-going as new data emerges and new challenges arise. 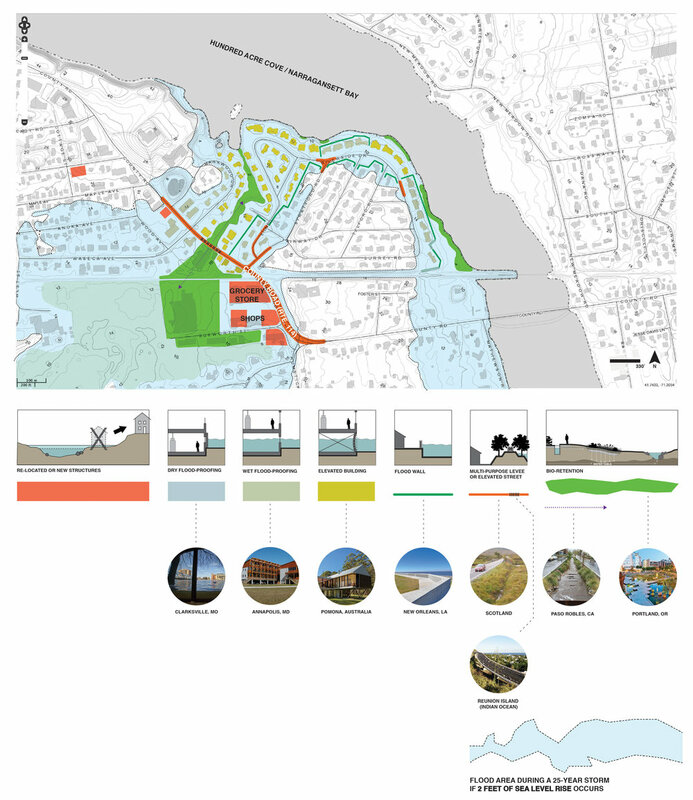 The aim is to educate those who might implement some of these strategies, and forge collaborations and alliances with other designers and developers to prepare Rhode Island for the unique and dynamic issues it is facing.